Jennifer Aniston has just dropped $9 million on a luxury NYC condo in Manhattan's exclusive Gramercy Park neighborhood. This comes just after the former Friends star dropped $7 million on another Manhattan condo earlier this year. There are also rumors she might buy the Hollywood home she and boyfriend Justin Theroux have been living in for another $3 million. 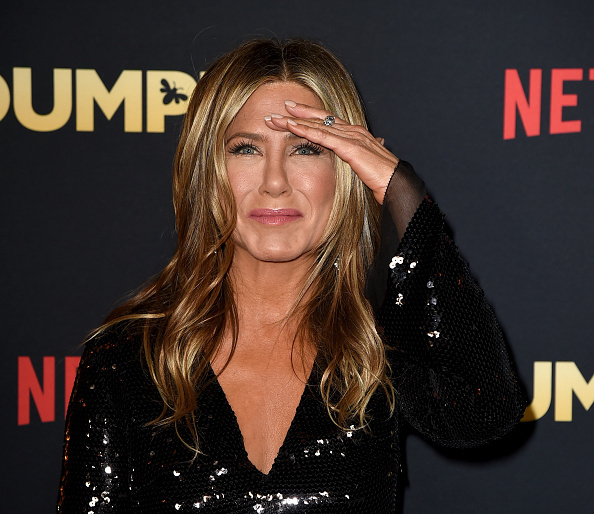 Sounds like a lot of cash, but it's just pocket change for multi-millionaire Aniston (side note – she just sold her huge 10,000 square foot Beverly Hills mansion in June, which put $38 million back in the bank). Her newest Manhattan apartment is one of 23 in her exclusive building and covers more than half the whole floor at 2,873 square feet. It has 3 bedrooms and 3.5 bathrooms, with the master bedroom offering views of Gramercy Park. The whole condo is filled with floor-to-ceiling windows and vaulted ceilings reaching as high as 11.8 feet up. This spreads natural light across the hardwood floors throughout the home. Additional features include a wood-burning fireplace, spa-like bathrooms, a powder room, walk-in master closet and top-of-the-line Miele appliances. It also comes with a nursery… so expect Aniston baby-bump rumors to start hitting Twitter any day now! This building is part of the Gramercy luxury boutique hotel, which gives Jennifer Aniston access to the hotel's 5-star services and amenities. Included with her purchase are: housekeeping, valet service, room service, butler service, catering, event planning, car detailing service, personal shopping and a delivery service. She also gets a free membership to the hotel's high-end David Barton Gym and Spa, and access to Gramercy Park, Manhattan's only private park. This list of services get thrown into the $11,000 monthly service charge, NBD. John Aniston net worth: John Aniston is a Greek American actor and actress Jennifer Aniston's father who has a net worth of $10 million.